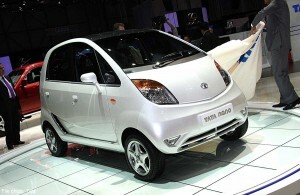 That the Tata Nano has failed to capture the imagination of entry level car buying lot in India is no secret. Call it the result of several fire-catching incidents during the initial days or call it the result of poor marketing (or both), the fact remains that Tata hasn’t managed to garner half as many sales as its makers initially hoped for. The move comes a month after former Tata group chairman Ratan Tata, for whom the Nano was a dream come true, admitted that marketing the model as the cheapest car was a mistake. He had also said the company is planning to relaunch the car. 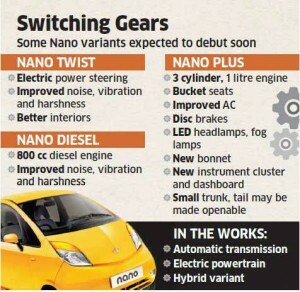 According to the ET report, the plan is to launch several new models like the Nano Twist, Nano Plus and Nano Diesel with additional features like electronic power steering and an integrated music system with Bluetooth connectivity. The aim is to rebrand the car as a smart city car targetting the youth. Following the launch of Nano Twist and Nano Diesel, Nano Plus, a new model would hit the Indian markets soon, according to the Economic Times. Tata would offer the new variant of Nano with exciting features like front disc brakes, improved aircon, bucket seats, new dashboard, LED headlamps and fog lights, revised hood styling and open-able tail.